I told you guys I was falling in love with my air fryer all over again! I was watching Dr. Oz yesterday + Wendy Williams was on as a guest. She was blah, blah, blah-ing about her new healthy lifestyle and between half paying attention + waiting for Maury to come on, she actually said something of interest to me. 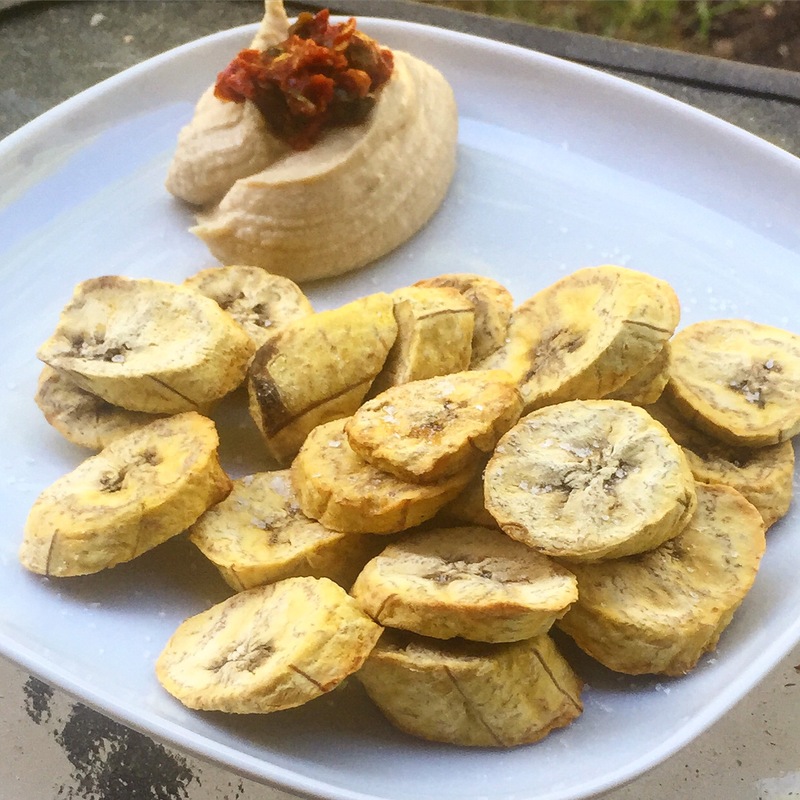 She shared her recipe for homemade plantain chips + ketchup. Yes, you read that right. She makes her own ketchup. Definitely got my attention. I wasn’t about to jump off the edge + try homemade ketchup, but since I had a few plantains at home, I decided to give the plantain chips a try. She makes hers in the oven, but I thought this recipe could easily be executed in my air fryer, so I gave it a try. Peel plantains + cut into 1/2 inch rounds. You can also opt to make them bigger if you like. Spray a little olive oil at the bottom of the air fryer to prevent sticking. Place plantains in the air fryer + spray a little more olive oil to coat them. Set the air fryer to 350 degrees + cook for 20 minutes. Take out of the air fryer + grind sea salt on top, to taste. Serve w/ dipping sauce or by itself! If you don’t have an air fryer pour olive oil on a baking sheet to coat the bottom. Preheat your oven to 350 degrees. Place the plantain chips on the tray + cook for 25 minutes. Take out of the oven + grind sea salt on top. I was really happy w/ how the plantain chips turned out for my first attempt! I served mine w/ supremely spicy hummus. Want to get your hands on an air fryer too? It’s on sale now for only $89.00 in my store.